Earlier this week, a Virgin Atlantic Boeing 787-9 collided with a Turkish Airlines Airbus A340 plane at Johannesburg Airport. The incident, which occurred while an aircraft was under tow, has grounded both the planes. Photos of the incident show damage to both the A340’s tail and the wing of the 787. There also appears to be damage to one aircraft’s nose, presumably the 787’s. The incident led to the cancellation of the Boeing 787’s return leg. It’s not clear how the accident has affected the Turkish Airlines schedule. The incident occurred on April 1st while a Virgin Atlantic Boeing 787 was being towed across the airport. The 787’s right wing scraped across the bottom of the A340’s tail. The Virgin Atlantic Boeing 787 is four years old, registered as G-VZIG, while the Turkish A340 is 20 years old, registered as TC-JIH. As a result of the incident, both aircraft are still on the ground in Johannesburg according to flight data. The collision of the two aircraft led to the cancellation of Virgin’s return flight from Johannesburg to London. It appears as though Virgin Atlantic eventually rebooked all of the passengers affected by the cancellation. However, tweets from the incident appear to show confusion among passengers as to the situation’s handling. 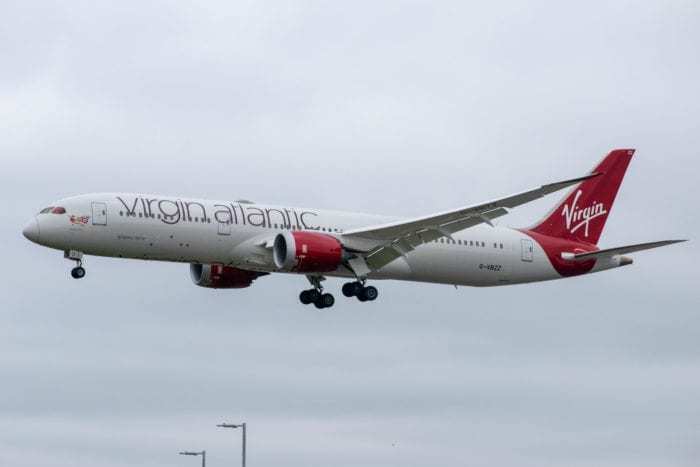 Following multiple complaints about a lack of information regarding the situation, Virgin Atlantic replied to one passenger stating that all passengers had been rebooked onto other services. Unfortunately, accidents occur while aircraft are being towed more often than you may think. In August last year, a Cathay Pacific Boeing 777 was damaged after being towed into a pole. This incident caused the pole to slice through the aircraft’s wing like a knife through hot butter. In November last year, a Lion Air Boeing 737 struck a pole with the end of its wing while taxiing in Bengkulu. 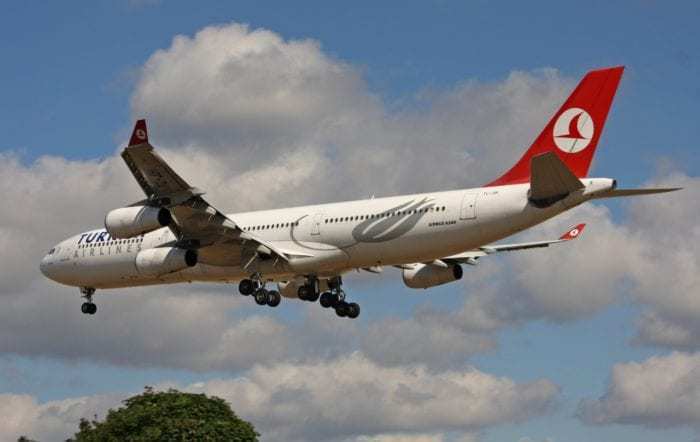 Turkish Airlines has been contacted for comment regarding this story. Were you affected by this collision in Johannesburg? Let us know in the comments down below!